R.M.Williams are an Austrailian brand with a long history and great heritage that is reflected in their products. Their techniques involve a great deal of craft, time and high quality materials. 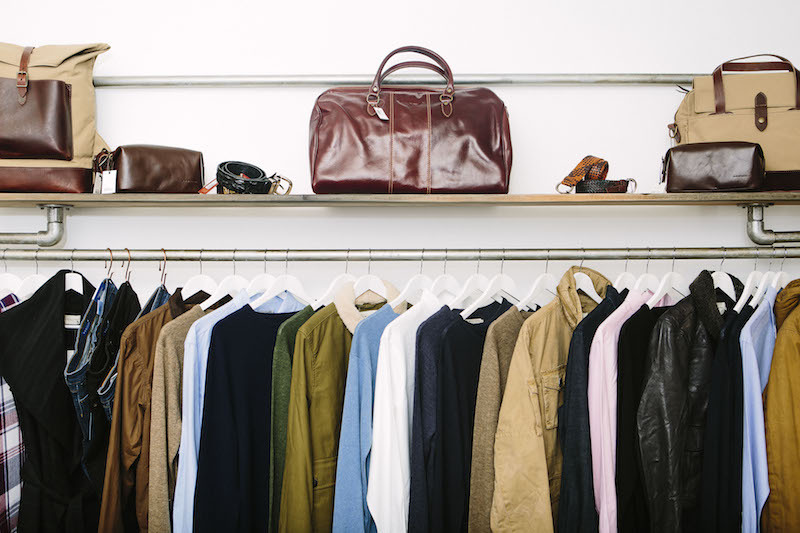 The brand was started by Mr. R.M.Williams himself, he founded the company in 1932 and it has kept to the tradition of hand making, using quality materials, and using the traditional Australian fashion styles ever since then. The brands collection now currently mixes both traditional Australian fashion and modern day fashion in order to intrigue new customers as well as sticking to their tradition and history. R.M.Williams are famous for their high quality shoes that are made to last a lifetime, the brand proudly stand by the fact that there shoes have and always will be handcrafted by excellent craftsmen. The majority of craftsmen dedicate their whole life to perfecting their craft, so you can be assured that when you buy a product from R.M.Williams it will be made by individuals who know their trade very well. 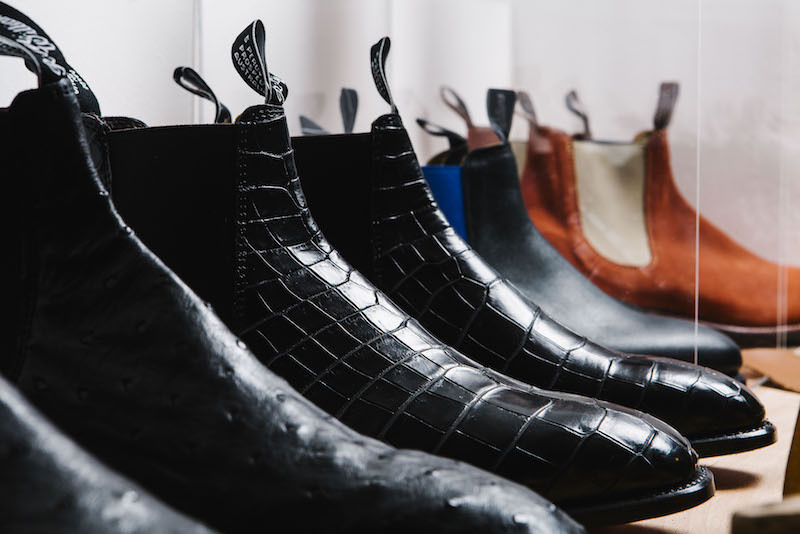 The boots come in a variety of different styles including the divine crocodile skin pair and also come in a number of different colours to suit a range of tastes. Each and every boot goes through around eighty different hand proccesses to eventually become a product of precision and quality, which heavily demonstrates the importance of quality to the brand. Even when the boots become old and have seen better days, R.M.Williams take in old boots and repair them, replacing the older soles with new ones. They also a have a range of clothes and accessories that are made using the finest materials which ensure that they will last a very long time. The belts seen in the above shelf are another great set of product by R.M.Williams, the belts are handmade from a piece of leather that is then split into strands, plaited, finished and then polished. They take around three hours to make and each belt is completely unique and made to last. R.M.Williams‘s new store will opening on the 28th of July in Westfield, White City. 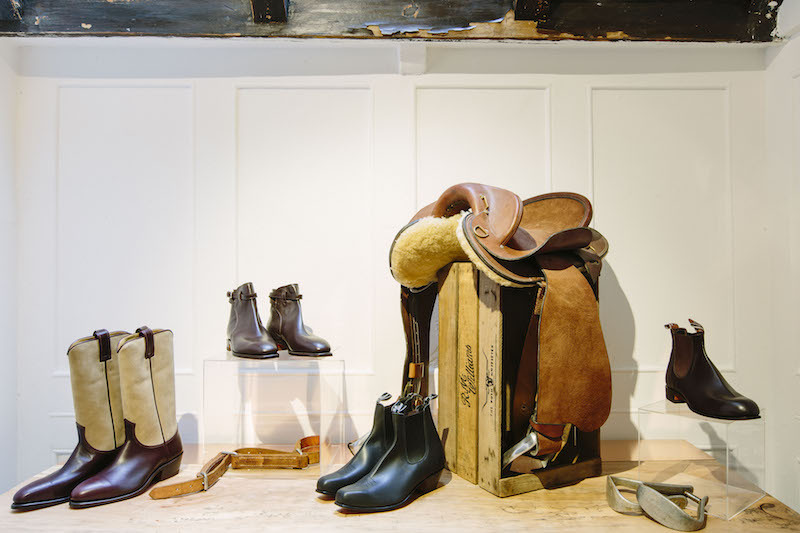 To find out more more about the R.M.Williams brand click here.